Omani regulators have guided Islamic finance to growth and sustainability through effective legislation such as the Islamic Finance Regulatory Framework, published in 2015 by the Central Bank of Oman, which covers all aspects of Islamic banking. The framework has been well received internationally and is considered among the most stringent to govern Shariah compliant financing. However, Islamic banks need to be more innovative in the products they offer, and provide solutions that are not available in the conventional banking arena. 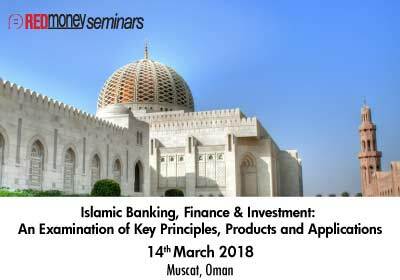 To that end, this one day seminar will help industry professionals to take Islamic banking, finance & investments to the next level by examining different products to cater the diverse needs of customers and also to look at key legal, documentation and Shariah non-compliance issues faced by Oman. Shariah governance has much wider scope than corporate governance. Non-compliance to Shariah governance is not restricted to reputational and financial loss alone. Hence, regulators in Malaysia have always taken the lead role and made landmark changes in the legislation of Shariah governance and ensured Islamic financial services to become the world’s best. To that end, revisions have made as recent as November 2017 by Bank Negara Malaysia and the industry should be updated to meet regulators’ expectations. 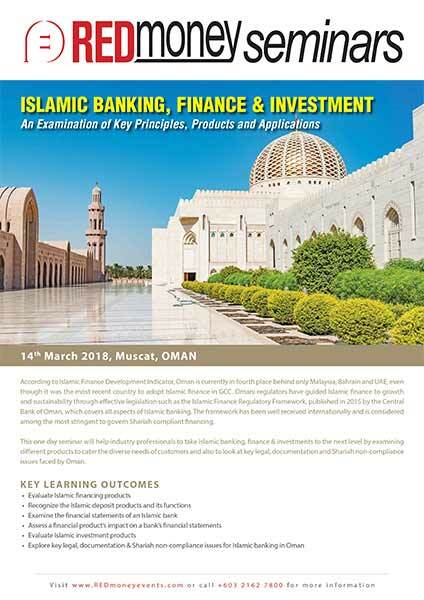 This seminar is designed to achieve the above objective alongside to solve some of the day to day operational challenges encountered by compliance, Shariah audit, Shariah review, risk management, product development and Shariah advisory committee and research officers. Legal and Shariah non-compliance issues arising in handling all the intricacies in the documents especially in the area of syndicated financing will be discussed in this session. Rather than taking a generic approach, this session is focused on the Omani experience to help participants manage their day to day operational challenges. Dr Salah Almajthoob is an experienced banker with expertise in Islamic finance. His experience covers various aspects of banking, Islamic finance, investments, Sukuk (Islamic bonds), technology investments and business development. He has more than 15 years of experience in investments and banking. Before establishing Jeyad Advisory, Dr Salah was the managing director of special projects at Bank Alkhair, Bahrain where he was involved with the restructuring of the bank and the reassessment of its investment portfolio. Prior to that, he was COO of Tharawat Investment House and prior to this, he was at Kuwait Finance House, Bahrain. Dr Salah is also an Islamic finance trainer who taught many courses at AAOIFI, the Bahrain Institute of Banking and Finance and other institutions. 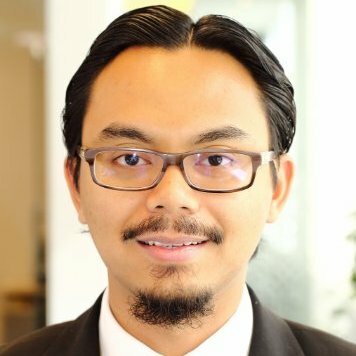 He is a certified Islamic professional accountant and holds a PhD in computer engineering from Virginia Tech in the US and an Executive MBA from the University of Bahrain. Noaranuar Sajari is the Head of Shariah Structuring at Bank Nizwa, Oman. He is managing the Sharia affairs of the Bank as assigned mainly to supervise and participate in Sharia Structuring & Advisory activities and severally or partially in post-transaction review and maintaining the Sharia authenticity of the Bank’s products and services. He also provides appropriate Sharia Training as well as supporting other Sharia functions within the Sharia Division. He is also an industry advisor to contribute to University Tunku Abdul Rahman’s academic and research activities. Previously he was the Head of Shariah at HSBC Amanah, UAE. He is the lead of Product Development Task Force where he has completed Corporate Ijara product program, Corporate Forward Ijara product program, Corporate Wakala Bel Istithmar product program to name a few. Dr. Almajthoob is an experienced banker with expertise in Islamic finance. His experience covers various aspects of banking, Islamic finance, investments, Sukuk (Islamic Bonds), technology investments and business development. He has more than 13 years of experience in investments and banking. Before establishing Jeyad Advisory, Dr. Almajthoob was the Managing Director of Special Projects at Bank Alkhair, Bahrain where he was involved with the restructuring of the bank and the reassessment of its investment portfolio. Prior to that he was the Chief Operating Officer (COO) at Tharawat Investment House and prior to this he was at Kuwait Finance House, Bahrain. He is also an Islamic finance trainer who taught many courses at AAOIFI, BIBF and other institutions. Dr. Almajthoob is a Certified Islamic Professional Accountant (CIPA).He holds a PhD in Computer Engineering from Virginia Tech, USA and an Executive MBA from University of Bahrain.